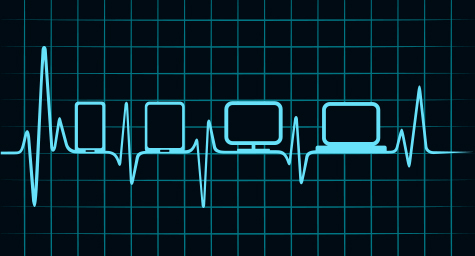 Can Digital Technology Breathe New Life into Healthcare Marketing? Digital technology may be changing the way patients seek healthcare today, but it can also help healthcare organizations survive and thrive in the new patient landscape. New digital tools and technology are at healthcare marketers’ fingertips, but is the conservative healthcare industry accepting these helpful aids? Luckily, a new online study of healthcare marketers called Healthcare Study: Organizing Marketing in the Digital Age from Econsultancy, in partnership with Ogilvy CommonHealth and OgilvyRED, examined the current trends and tactics of healthcare organizations in the digital age. econsultancy.com shared the results of this healthcare check-up. 75% of survey respondents said that changing patient behavior in the use of digital technology for healthcare research and access is making personalization and targeting much more rewarding. 58% believed that the rise of the digital healthcare provider will significantly affect healthcare marketing over the next two years. 52% thought that new digital sources of patient behavioral data and treatment will impact healthcare marketing. 66% were unprepared to implement emerging data sources into their marketing to gain patient insight. 53% were not prepared to collect and manage high volumes of data rapidly. 44% were unprepared to acquire and implement patient data from existing digital data sources like medical databases and CRM. 37% were not prepared to create proper privacy policies for gathering and using patient data. Even though many healthcare professionals are not making the most of digital data tactics and tools, it’s never to late to start integrating and implementing these vital digital technologies. Discover how digital technology can help revive healthcare marketing. Contact MDG Advertising.